Elected to New Mexico’s state senate in 1996, Dede Feldman faced the challenges that confront state legislators around the country along with some that are uniquely New Mexican. In this forthright account of the workings of New Mexico’s legislature, she reveals how the work of governing is actually accomplished. 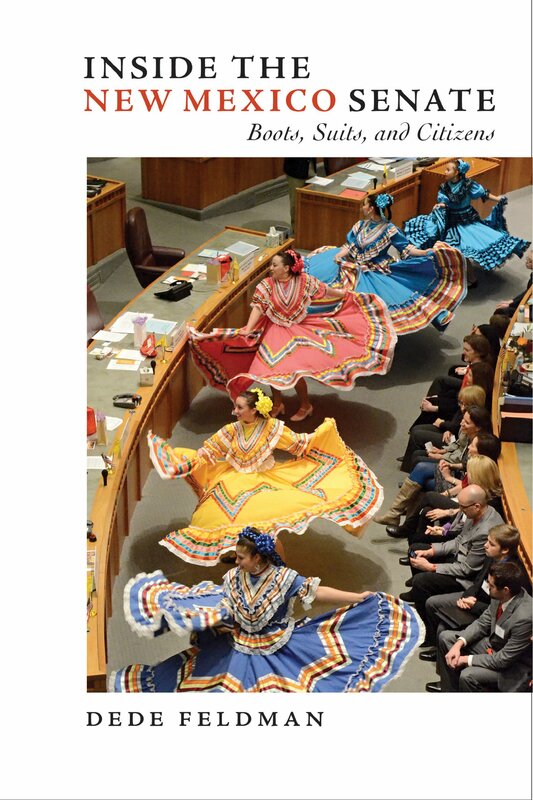 In New Mexico’s part-time citizen legislature, Spanish may be spoken in the halls of the capitol as often as English, and Native American issues are often pivotal. But each year the Land of Enchantment’s legislators, like those in other states, must balance revenues and expenditures, tangle with lobbyists, and struggle with redistricting and campaign finance reform. State legislatures’ approaches to air pollution, drunk driving, and chronic disease, Feldman’s book reveals, find their way into national law after they’ve been road tested on the highways of various states. Dede Feldman retired from the New Mexico Senate in 2012. She is a political commentator in Albuquerque.